Janna Polyzoides was born in Graz. She studied at the University of Music Graz with Sebastian Benda. Additional influential teachers were Rudolf Kehrer, Alexander Jenner and György Kurtag. Her carrier has led to appearances at renowned festivals, such as Wien modern, the Menuhin-Festival in Gstaad, the »styriarte« festival in Graz and the Wiener Festwochen. She has been invited to many famous concert halls, for example the Cologne Philharmony, Wigmore Hall London, Warsaw Philharmony, the Konzerthaus and the Musikverein in Vienna and the Mozarteum Salzburg (in 2007 with the »Deutsche Kammerakademie Neuss«). 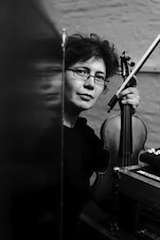 She is a founding member of the Arcus Ensemble Vienna. So far she recorded 25 CDs, lately a CD (ORF) with the Radio Symphony Orchestra Vienna (Christian Offenbauer's piano concert) and a CD of the »Duo Demetrius & Janna Polyzoides« (Aulos). 2008 she was nominated for the ORF-Pasticcio-Price and the German Record Critics' Award for a solo CD (einklang-records). The string players of Klangforum Wien have been engaging themselves in contemporary literature for quartet since 1993. Their utmost concern is the selective choice of repertoire and the intensive cooperation with composers. As the traditional hierarchy within the quartet is avoided, its instrumentation is not determined. Therefore the division between first and second violin is arranged separately for every project amongst the violin players. The string quartet of Klangforum Wien regards itself as a chamber music ensemble which is not bound to the conventions of the music market. Hence the most important criteria for the selection of projects are artistic curiosity and delight. In its rather rare appearances the string quartet of Klangforum Wien has, amongst others, premiered pieces by Georg F. Haas, Beat Furrer, James Tenney, La Monte Young, Roland Dahinden, Nader Mashayekhi, Wolfram Schurig, Peter Lackner, Christian Klein and Christoph Neidhöfer. Previous stations: Wien Modern, Wiener Festwochen, Salzburg Festival, Musikprotokoll Graz, Huddersfield Contemporery Music Festival, Wittener Tage für neue Kammermusik, Insel Musik Berlin, Warsaw Autumn, Tuned Matters Krems, "die andere Saite" Graz, International Brucknerfest Linz. "It was such a beautiful experience to work with the four musicians of Klangforum String Quartet. They have the extraordinary combination of the technical expertise and feelingful musicality that is exemplary of the finest performers of our time. Through their dedication and inspiration, the composition Chronos Kristalla evolves through time to another level of perfection in realization." Born in 1962, studied at the Mozarteum in Salzburg with Helmut Zehetmair, where she passed her diploma with distinction. Until 1987 she was a member of the Hagen-Quartet, with whom she won prizes in large international competitions, recorded award winning records, and undertook worldwide concert tours. Subsequently, she studied for two years at the Viennese college of music with Ernst Kovacic. 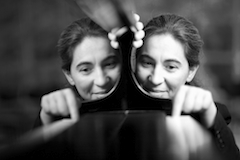 She performs regularly in concerts as a soloist and chamber musician, plays at numerous music festivals – for example “Lockenhaus”- and plays with noted artists such as Gidon Kremer, Heinrich Schiff und Thomas Zehetmair. She has been a member of Klangforum Wien since 1989. Sophie Schafleitner was born in Salzburg in 1974. After her musical training at the Mozarteum Salzburg with Irmgard Gahl she completed her studies with a concert diploma at the University of Music and Performing Arts Vienna under Gerhard Schulz. She has been a member of Klangforum Wien since 1997 and performed as a soloist at festivals such as Wien Modern, Hörgänge and Wiener Festwochen. 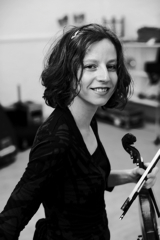 Besides working with contemporary music classical chamber music is a main focus of her work, since 2003 she is mentoring the violin class of Gerhard Schulz as his assistant at the University of Music and Performing Arts Vienna. 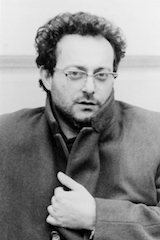 Violin studies with Dany Dossiou in Greece and Christos Polyzoides in Graz, studied viola under Herbert Blendinger. From 1989 to 1993 he was the leader of the violas in the Graz Philharmonic Orchestra. In 1994 he became a member of Klangforum Wien. Dimitrios Polisoidis works chiefly with new music and plays with experimental improvisation groups. Since 2009 he coordinates the Klangforum masterclass for Performance Practice Contemporary Music at the KUG in Graz. He has made appearances as soloist and chamber musician at numerous music festivals. CD recordings with hatART (CH), Kairos (A), mode recordes (NY. ), Lyra (GR). Andreas Lindenbaum was born in Detmold, Germany in 1963. He studied the cello and composition at the Detmold Academy of Music. In 1986 he received a scholarship from the Rotary-Foundation International Studies at the School of Music in Bloomington, USA, where he studied in the class of Janos Starker. He has lived in Vienna and been a member of the Klangforum Wien since 1989. 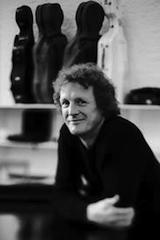 From 1990 to 1999 he taught cello at the Konservatorium Wien.